Getting warmer: Welsh researchers reveal hidden secrets of burnt stuff. Being really, really, ridiculously big. Exactly none of these things are drawcards for the average international tourist. But for researchers from comparatively damp Wales, our unique ability to burn was the basis for an audacious experiment in our southwest … in spite of the lengthy travel time and our overwhelming expanse. Our jarrah forests in the southwest are some of the most flammable ecosystems in the world. Take that, everywhere else. 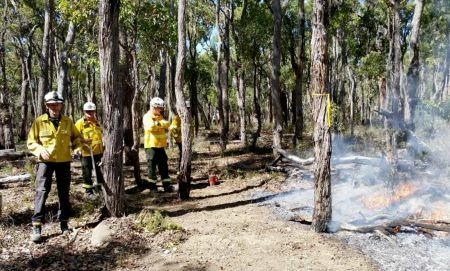 We also have some of the world’s most experienced professionals who carry out and control prescribed burns. Our unique setup allowed visiting researchers to carry out a study on charcoal production from bushfires which has global ramifications. It gets thrown around a lot these days—especially in Australia. For something so normal and naturally occurring, it’s got some pretty dirty connotations—you know, with climate change and all that. As far as elements go, carbon is pretty hot right now—especially if you’re talking about what happens when it burns. Bushland vegetation is organic matter, and all organic matter is made of a good wodge of carbon. When bushland burns, some carbon re-enters the atmosphere as gaseous carbon dioxide. It could be absorbed by plants and used to grow. Alternatively, it could cause havoc to global climate systems. However, some of that scorched organic matter gets transformed into another solid—charcoal. Unlike wood (which rots pretty quickly), charcoal has a particularly long shelf life. 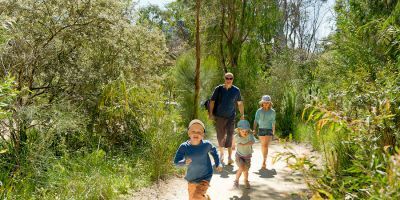 Have you ever walked through green, leafy bushland and spotted chunky black bits on the ground? It hasn’t been carried there by wind or water—it’s been chilling there since the last fire, even though the rest of the bushland has fully regenerated. Not only does charcoal really stick around, it’s also a little hoarder. Charcoal is much richer in carbon than it’s pre-burn plant form. 4% of the world’s vegetated surfaces burn in wildfires each year, a portion of which gets turned into chunky little charcoal bundles that store away carbon for long periods of time. No one could tell you—until now. 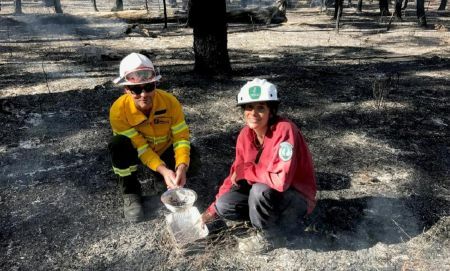 In the hottest before/after transformation ever, Professor Doerr and Dr Santin of Swansea University meticulously measured the carbon in all leaves, twigs, logs and bark in a forest block about 35km east of Manjimup. Then they set it on fire (with the help of DPaW, of course). And then they counted the carbon all over again. Of course this time they were measuring ash and charcoal and calculating what percentage of the original carbon gets locked away when burnt. 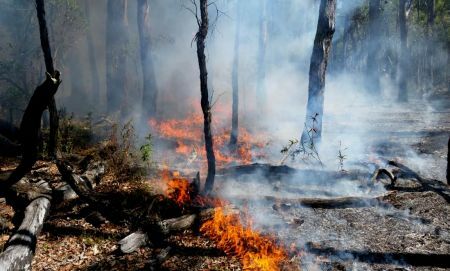 Their results will be analysed along with data from fire-prone forests around the world and will add an important piece of the puzzle to how we understand carbon balance in bushfires. Previously, scientists have estimated that 1 – 5% of carbon in fire-affected plant matter is converted into charcoal. 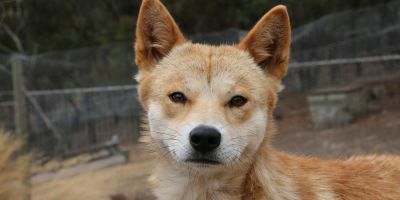 A similar study that Professor Doerr and Dr Santin conducted in the very flammable forrest of Canada would suggest that this a slight underestimate. Their results indicate that it’s closer to 27%. That’s almost one-third of all carbon in a forest that gets converted to charcoal, and when you look specifically at wood and bark, it’s over half! Past studies have suggested that wildfires emit the equivalent of one-third of the current CO2 emissions from fossil fuel consumption. 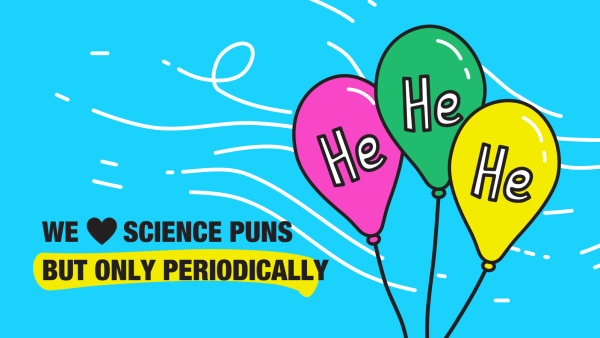 However, this new research might mean that a significant proportion of carbon is actually stored in a solid state on Earth. Bushfires have always been quite tricky to measure. After all, they are bushfires. But with this contribution of knowledge from the southwest of WA, global carbon budgets may become more certain and predictions of future climate projections more accurate. 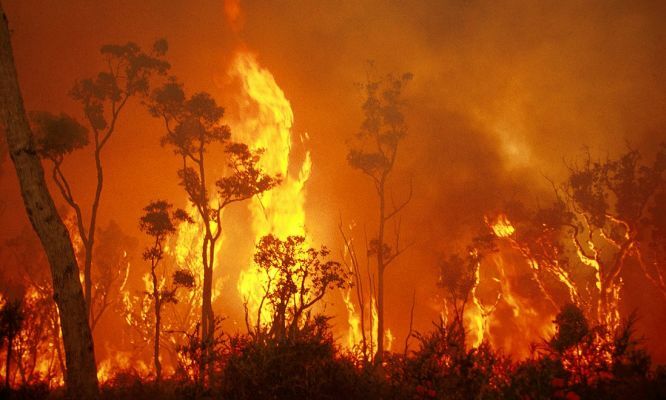 We may even be able to replicate bushfire conditions to artificially create charcoal and draw carbon out of the atmosphere as a temporary method of slowing climate change. There’s plenty more research to be done in the area. I guess it’s just lucky that we burn best in the West. What can a bird tell you about its habitat? Octopus is a considered a delicacy in many cultures, but did you know WA dolphins have taught themselves to hunt and eat octopus too?